Tokyo Station is a station for many train stops, from Shinkansen to subway. This station is one of the stations with the largest number of passengers in Japan. Inside this station there are about 130 stores selling food, animation items, souvenirs and more. 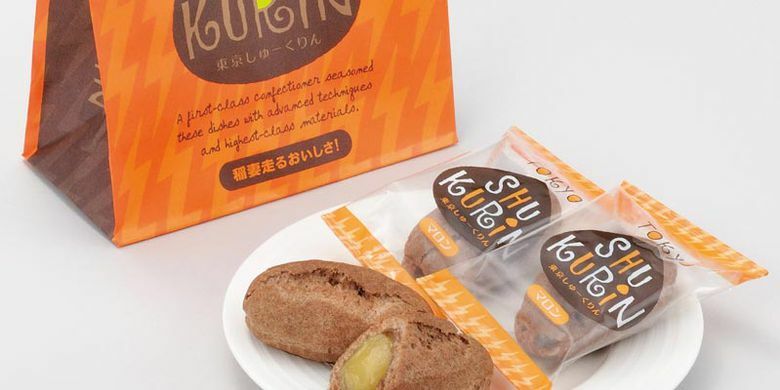 Let's see the following ten most popular souvenirs in Tokyo Station. 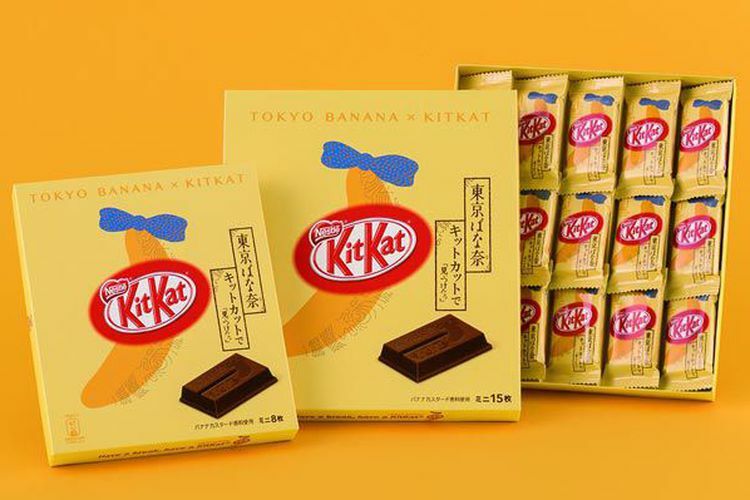 Tokyo Banana Kitkat de Mitsuketa is a collaboration product between Tokyo's number one souvenir company, Tokyo Banana, and the number one chocolate maker Kitkat, with a theme of "wanting to be the most souvenir of people who visit Tokyo". This product is sold at 702 Yen (contents 8) and 1,296 Yen (contents 15). 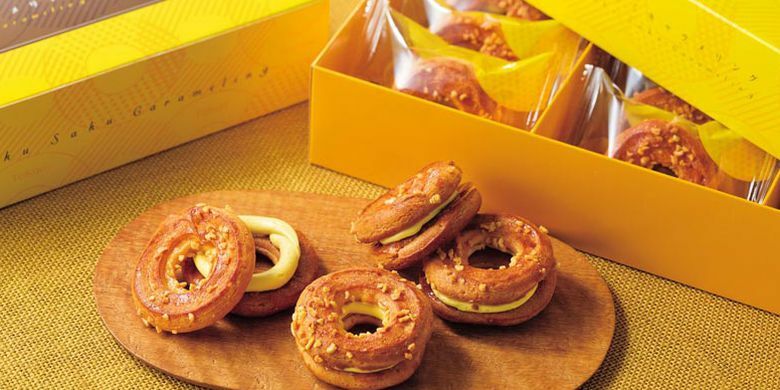 The creamy Tokyo Banana cream texture is expressed with cream stuffing between the wafers. This soft, crunchy texture does not exist in regular Kitkat products. This product sold over 350,000 in the first week of sales, with long lines and limited quantities to buy per person. There are times when this product is sold out, it's good if you come at the new store opened. 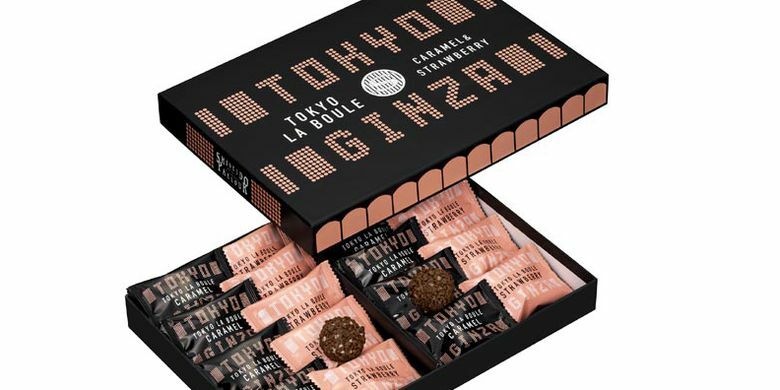 Tokyo La Boule is a product of Parlor Shiseido, a 115-year-old restaurant that sells traditional and sweet dishes both Japanese and European. This product is sold for 1,080 Yen (fill 12) and 1,620 Yen (contents 18), and is only sold at Tokyo Station (in Tokyo Me + store) and Haneda International Airport. The product is a round brown ball consisting of crispy cookies that are mixed with chocolate and chocolate flakes. 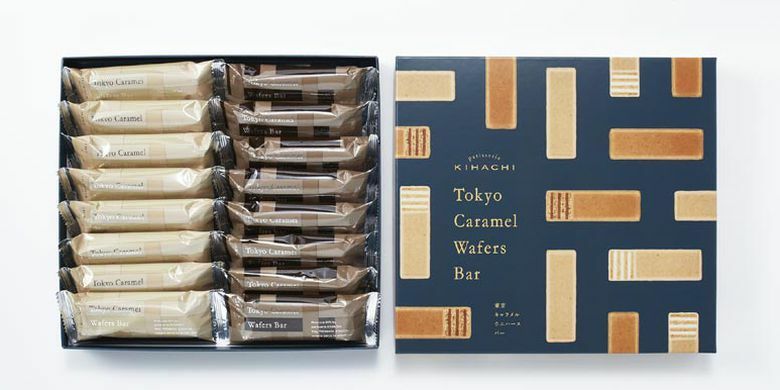 Tokyo Caramel Wafers Bar is a product of Patisserie Kihachi. This product is sold for 1,080 Yen (fill 10) and 1,620 Yen (contents 16). This product is seven layers of wafer with soft cream stuffing wrapped by caramel sugar. There are two, namely Milk Caramel and Bitter Caramel. Tokyo Rusk Collection made it into the top three of the previous rankings, but is currently down to 4th. The most popular flavors are Premium Almond Rusk and Limited edition Chocola Rusk three flavors (milk, raspberry and matcha test). This souvenir wrap also changes every season. This product is sold for 1,000 Yen (contents 13), 2,160 Yen (contents 21), and 3,240 Yen (contents 38). 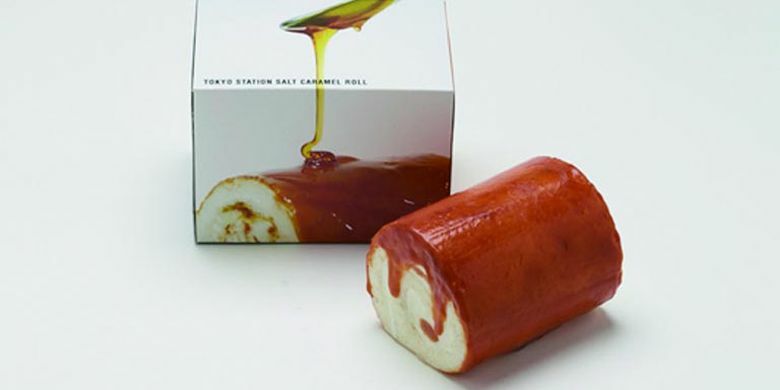 Salt Caramel Roll from the Arinco Tokyo Stations store in Tokyo Me + is sold for 1,543 yen. The limited roll cake sold only at Tokyo Station is still popular today. The roll cake has a soft and pulsed test of soft cream wrapped with a slightly bitter salt caramel. 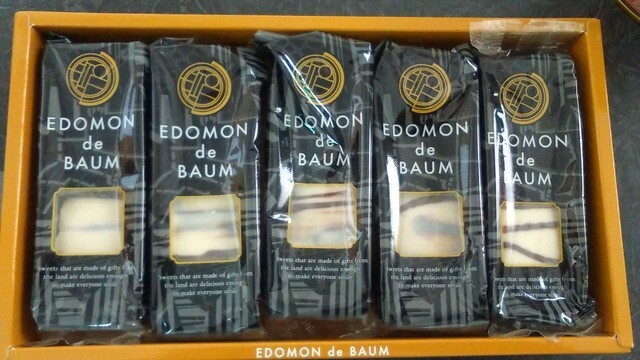 Edomon de Baum is a limited product that can only be purchased at Tokyo Miyage Center in the basement of Tokyo Station. This product is sold at 702 Yen (contents 5) and 1,296 Yen (contents 10). Edomon de Baum is a chocolate-coated baumkuchen cake. Pocket Caramel Ring Pocket, is a souvenir of eggroll with fragrant dough caramelized with chocolate flavored custard. This cake is sold for 594 yen (fill 6) and 1,080 yen (content 12). 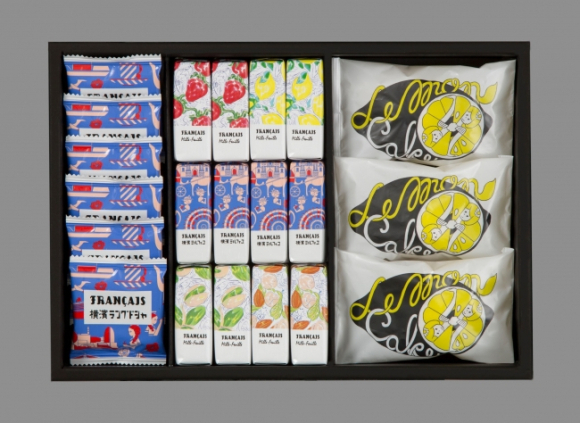 Francais Best Selection is a kind of mainstay cake from the famous dessert shop in Yokohama, Francais. This cake sells for 3,240 per box. This cake is a limited product that is only sold in Waransiho stores in Tokyo Me +. This product is sold at 540 Yen (fill 4), 1,080 Yen (contents 8), 1,620 Yen (contents 12). Niku-kyu Madeleine is a Madeleine cake from Tokyo L'atelier Du Sucre which is sold for 1,198 Yen per box.